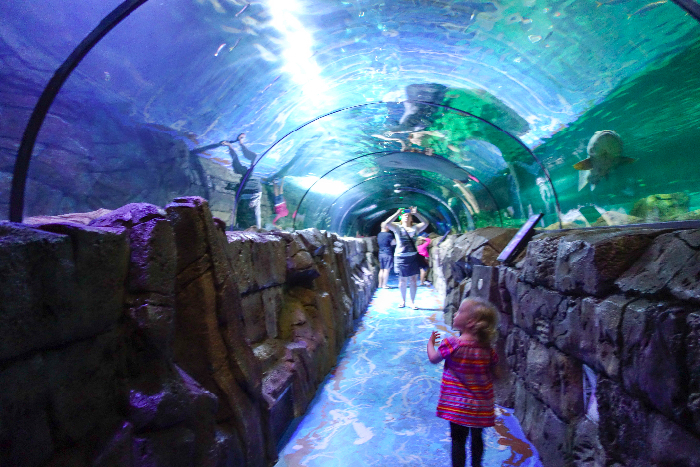 A Date With The Fish at SEA LIFE Sydney Aquarium - Adventure, baby! 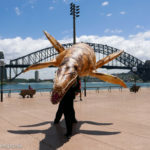 On a hot summer’s day, E and I were invited to take a day trip to SEA LIFE Sydney Aquarium with some friends. Yes, yes, yes thank you. 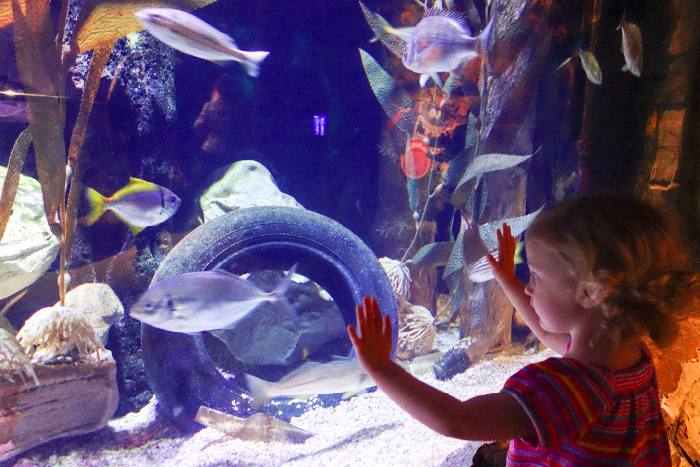 What a great way to spend a steamy Sydney day – in decent air conditioning, watching fish. 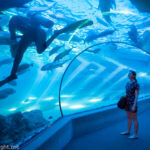 SEA LIFE Sydney Aquarium has been around since 1988 in various incarnations. 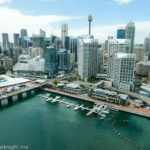 While it used to be a stand alone attraction, these days the aquarium is part of a large group of Sydney attractions, including SEA LIFE Manly, Madam Tussauds, WILD LIFE Sydney Zoo (not Taronga Zoo) and Sydney Tower Eye. 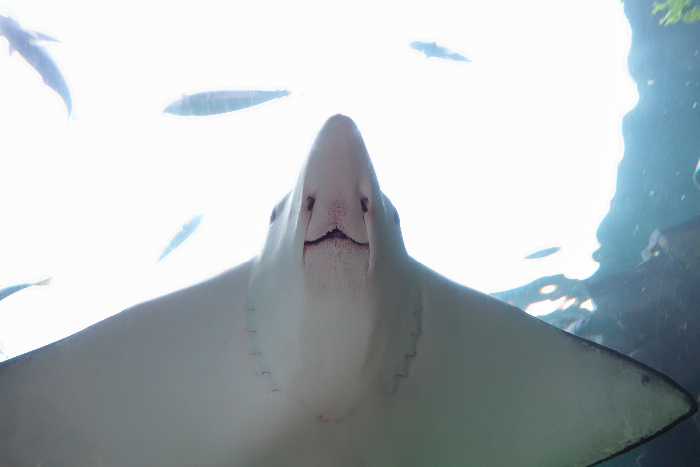 If you buy your ticket at the aquarium, expect to pay $40 for an adult and $25 for children aged 4 and up. Buy your tickets at least 24 hours in advance from the website and you’ll save up to 30%. Buy passes to multiple attraction online at the same time and you will save even more. 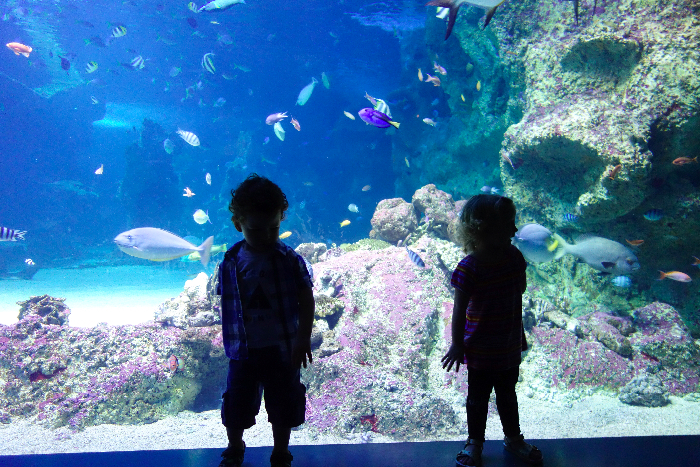 The aquarium is broken up into various exhibits. 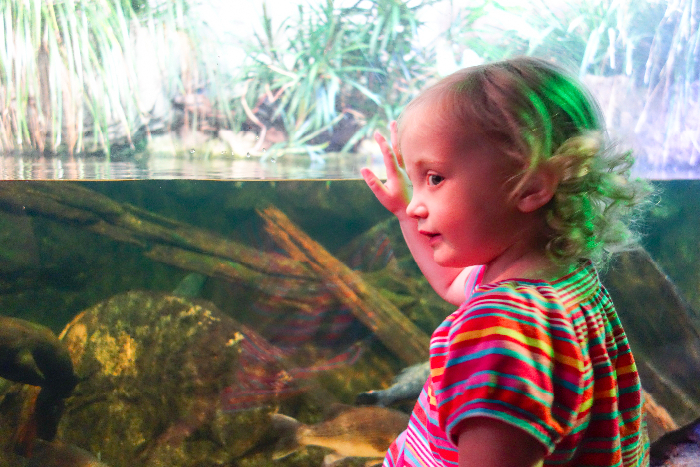 The first few aren’t terribly interesting for little kids so we raced right through (if you’re interested in our rivers and so forth, then these are for you!). 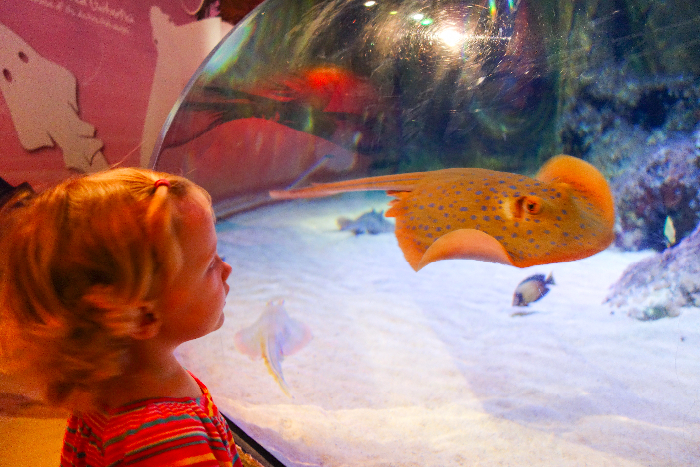 The big hits with the kids were the little sting rays, the glowing jelly fish, the rockpool where they could touch shells and starfish, and the tanks of tropical fish with the floor to ceiling glass. The kids also enjoyed running like lunatics up the tunnels that run under the tanks with the water and animals swimming over head. 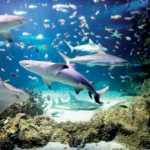 Sharks were a popular spotting, as were the giant rays and the dugong. This particular section has a step and rails on the sides so kids can climb up for a closer look. 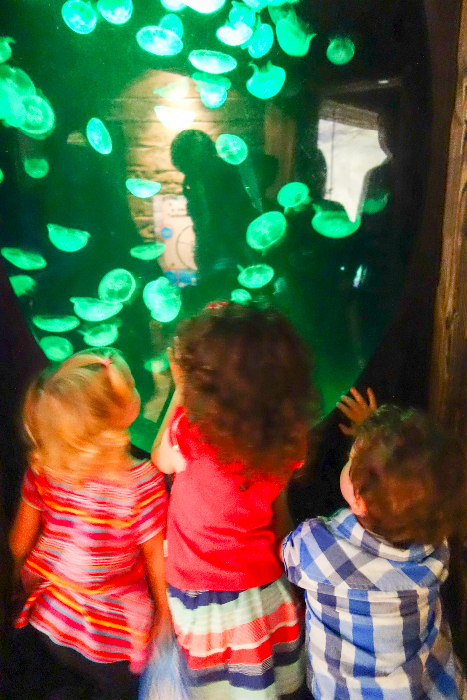 Watching the giant animals float overhead in particular was thoughtfully entertaining for our bunch of toddlers. 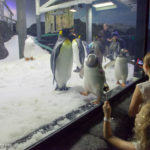 The aquarium is on the small side, but does have a few kind of sad looking penguins (yes, I’ve seen Happy Feet a few too many times), which oddly our kids weren’t interested in at all. 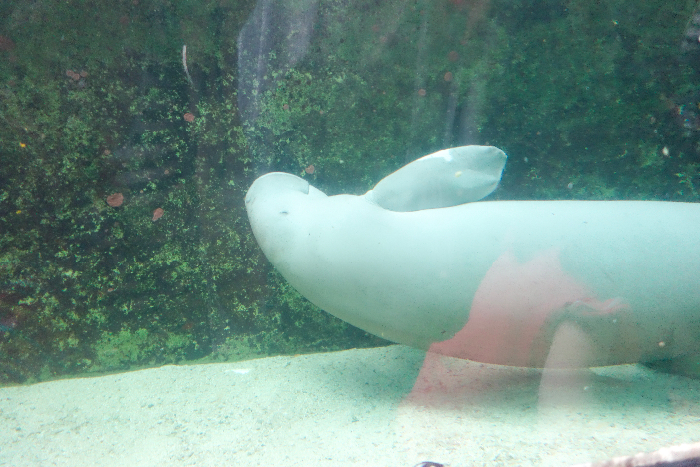 They have shark feedings (which we missed) and a dugong talk (which was interesting for adults but not kids). 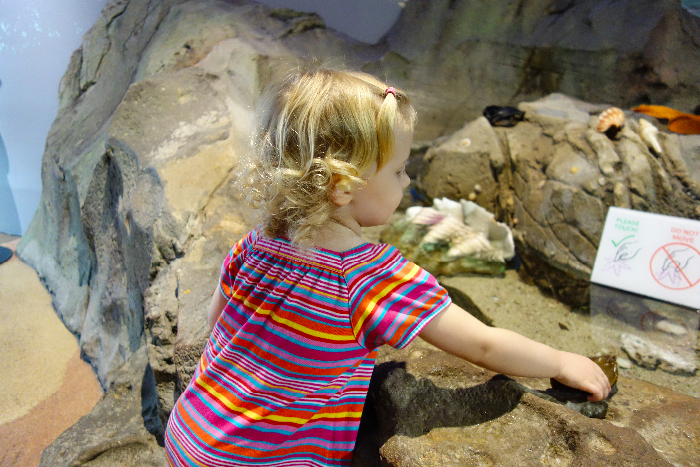 There is a cute shark treasure hunt throughout the aquarium for older kids. Given a map at the entrance they have to find each station along the way and stamp their map, and get a little prize at the end when they hand it in at the gift shop. Bring lunch if possible to save a bit of money. 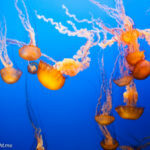 There is a large cafe area inside the front of the aquarium with plenty of tables and space to eat.